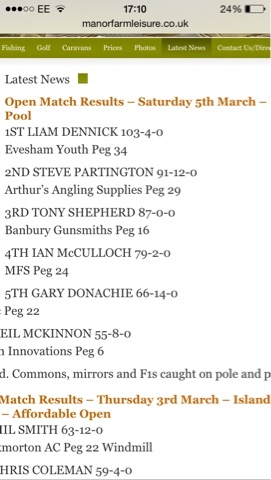 Manor farm open - I drew myself peg 34 on windmill pool. Never fished this peg but I know it's the shallower part of the lake. I was feeling optimistic as this peg fished well on Thursday in the mid-week open. Set my Colmic Airon F33 up at 13m and set up 3 rigs. 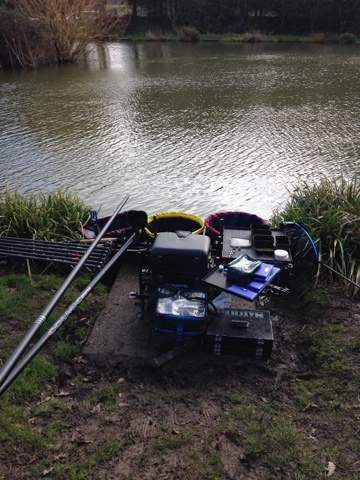 2 pellet rigs set at dead depth and one rig for looking around the peg. 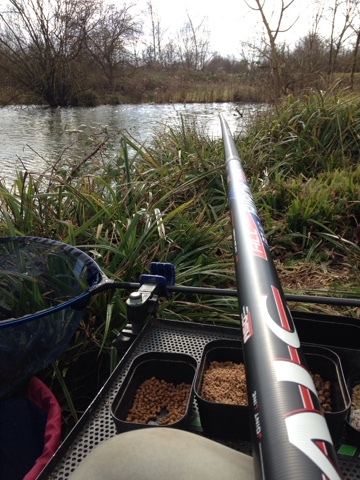 All 3 rigs consisted of 0.15 spider line to an 0.11 hook length, fishing a banded pellet. I also kitted up 2 edge rigs as I had around 3.5ft at 14.5m down to my right. Started off by feeding my 13m line with around 30 pellets before chucking out bomb and bread to see what was about, 10 mintues past and I didnt have as much as a liner so had a quick look on the pole. I began catching steadily but the fish were only small and the wind was making presentation quite hard! 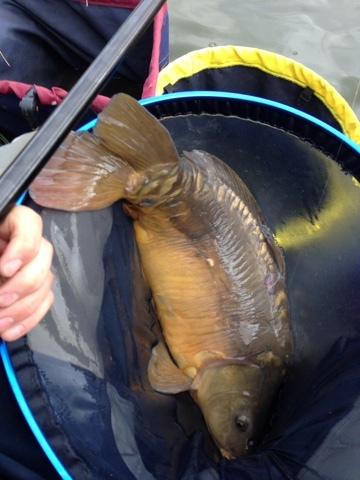 I thought that the anglers down the other end would catch carp so I thought I needed to! 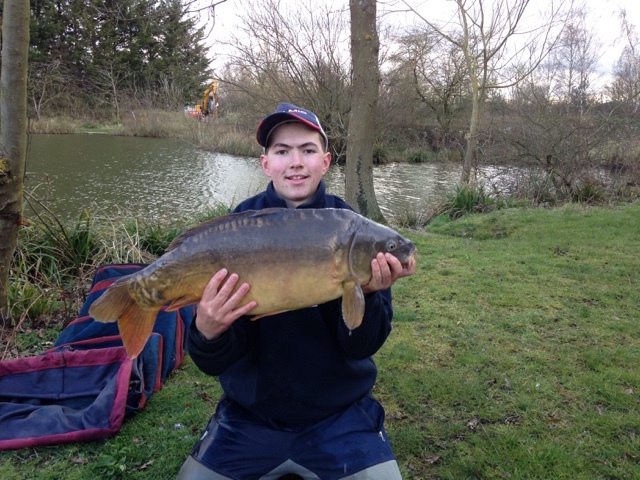 After around 2 hours in I had about 25lb but bites were beginning to tail off. 0.15 spider line main - 0.13 hook length. Size 18 Hooks. 0.19 - 0.15 hook length size 16 hook. (Mans rig) just Incase it was solid. I fed a bit of micros and corn down there and after 20 minutes I shipped my Colmic Airon F33 out to 14.5m and had a look down the edge, Clunk!!! Ended up fishing this till virtually the end of the match and with around 15 minutes to go managed to hook a late fish, weighing 20-8-0!!! I was amazed at how strong my Colmic pole was!!! Because I was fishing so tight to "the jungle" I had to hook them and just drag them to my left, this is where the mans rig came into its own! 0.15 Spider line takes some breaking!!! I spoke to Gary Donachie who was on peg 22 (the other end) and he said he'd caught all F1s to my surprise! At the scales my mixed bag of carp + F1s went 103-4-0. Awesome day and really enjoyed using my pole down the edge!!! Another mirror I had... Weighing about 12 - 14lb.